Mayor Patrick Brown’s description of the 2019 budget probably hasn’t been heard inside Brampton council chambers for some time. “Remarkable,” he said, a word rarely used to describe a 300-plus-page municipal budget document. But when it describes the first tax freeze in decades, meaning weary homeowners won’t have to dig deeper into their pockets when this year’s property bill arrives, it fits. “This is a major step forward in terms of economic development and setting the tone that we’re taking a significant weight off the back of residents,” Brown said. The City of Brampton’s operating and capital budgets got the final stamp of approval last night in a unanimous vote by council, culminating a lengthy deliberation period that saw councillors wrangle down a staff proposed 0.8 percent tax increase to zero for the city’s portion of the bill. That decrease means a small difference for the average ratepayer, around $50, a number that will nevertheless be welcomed by many residents who complained at length to candidates during the fall municipal election campaign that taxes were too high. A succession of recent budgets has led to tax hikes well above inflation, including a recent five year period when the Brampton share (about 40 percent) on the average property bill increased by about 5 percent annually. This represented about an extra $500 dollars out of the wallets of homeowners over that period, based on an average Brampton home. The tax freeze fulfills a major campaign pledge for Brown, who promised “out of control” tax increases would be reined in. With budget approval out of the way, now comes the work of actually implementing what was approved. Even with the freeze, city residents will see several new additions and service increases in the city, including $94 million in road and sidewalk work, $100,000 to study the Riverwalk plan for improvements along Etobicoke Creek, nearly $2 million for new playground equipment in city parks, $3 million to revitalize Lester B. Pearson Theatre, and $372,000 for setting up an arts council, among others. For transit users, many of whom are consistently complaining about delays and crowded routes, the addition of 12 new Züm buses and 65 transit operators is good news; these additions should help Brampton Transit better handle the astronomical growth in ridership seen in recent years. The boost to the number of buses in 2019 is part of a broader initiative over the next three years to increase the transit fleet by 16 percent, bringing in 46 conventional buses and 25 Züm buses over that time. Improvements to connections to post-secondary institutions are also in the works. Despite the significant ridership increases over the last decade, the overall ridership is still well below other cities across Canada, such as Winnipeg, Mississauga and Vancouver. Compared to Toronto ridership, Brampton Transit only has about a quarter of the annual rides, factoring in population. But the new investments will help bridge that gap, hopefully pushing more people out of their cars, with better service options. Unfortunately, it’s not all optimism in Brampton’s transit future. After years of neglected investment and councils pillaging reserve funds, the current council has little choice but to invest in transit on the backs of users and taxpayers. With this budget, council introduced a 1 percent tax levy dedicated to transit projects, which thanks to “efficiencies” found within city operations, is being accommodated within the zero-hike budget. 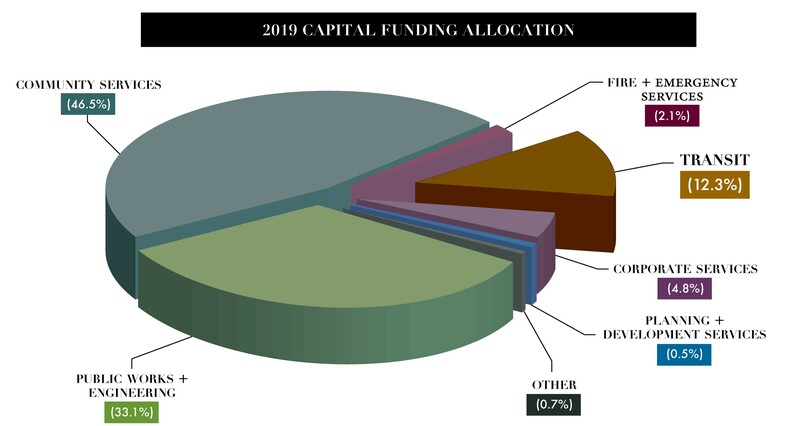 The annual levy will be used exclusively for transit operations and improvements, relieving some pressure on the capital budget used for other needs, such as repairing and replacing roads, parks, fields and other facilities, according to the budget document. Additional revenue for transit will become crucial as ridership continues to grow at a rapid rate, currently the fastest in North America. Increasing demand has led to the need for a new transit maintenance facility to ensure buses remain in working order. The city will be taking out $52 million in debt to pay for its share of the project, $16 million of that in 2019. However, the city is getting help from upper levels of government by way of $110 million in subsidies and grants toward the total $162 million cost. A walk-on amendment to the budget will provide for a new, reduced $15 monthly transit fare for Brampton seniors. Other transit fares are going up slightly. The cash fare will remain at $4, while the Presto fare rises from $3 to $3.10, weekly passes rise by $1 and monthly passes by $4. With Brampton’s rapid growth, ensuring that fire and emergency services have the resources they need to keep Bramptonians safe is an ongoing challenge. Similar to the transit file, reserve funds associated with fire and emergency services have been tapped out. “Growth for new fire stations will require funding from tax-based funding sources on an annual basis,” says city spokesperson Natalie Stogdill. For 2019, design and construction will begin on a new $5.4-million station in northwest Brampton,and 21 additional firefighters will be hired over the year. New vehicles and equipment are also included in the 2019 budget. Initially planned to be constructed in conjunction with the Ryerson University satellite campus in downtown Brampton, which Ryerson pulled out of after the province rescinded its entire $90 million funding commitment, the Centre for Innovation and Connected Learning will go ahead without it in 2019. Plans for what is described as a “joint-use centre” include a new central library and an “entrepreneurial and cultural space,” according to the city’s budget document. The description of what activity, including business enterprise and innovation, will actually take place in the centre is vague. Clearly the loss of the downtown campus, which was supposed to provide partnership and investment opportunities to place specific private sector enterprise and entrepreneurship in the centre, has left the city scrambling. But it is moving ahead, nonetheless. The original plan was to take out $80 million in debt to pay for several phases to move the centre forward in 2019, including planning and feasibility studies, design, and construction. Recently Brampton received a boost from Ottawa, which announced a one-time “top-up” of municipal infrastructure funding by doubling gas-tax contributions. That measure was announced as part of the Liberal government’s 2019 budget. The top-up gives Brampton an extra $16.6 million in gas-tax funding, bringing the city’s total allocation to about $50 million. The boost in infrastructure funding will allow the City not only to pay for projects previously reliant on property-tax funding but also reduce its debt requirements. For the envisioned Centre for Innovation and Connected Learning, the city won’t need to take out nearly as much debt; instead of $80 million, that’s been reduced by $30.6 million, saving the City $1.77 million in servicing that debt for 2019. Until now, it’s been mainly an aspirational document. But as part of the 2019 budget, the 2040 Vision plan is set to go under the auditor’s microscope for a hard look — in beancounter-speak, a “comprehensive value proposition and return on investment” audit — on its 28 action items. The city is bringing in consultants from DIALOG and Deloitte to assist with the review. “The Vision was not designed to function as a plan, but as an aspirational document that reflects the community’s desires for Brampton,” Stogdill previously told The Pointer. “The long-term implementation plan must be developed based on evidence-based decisions, which includes doing a comparative analysis.” This might mean a much more scaled-down version of the plan, which was approved last year. 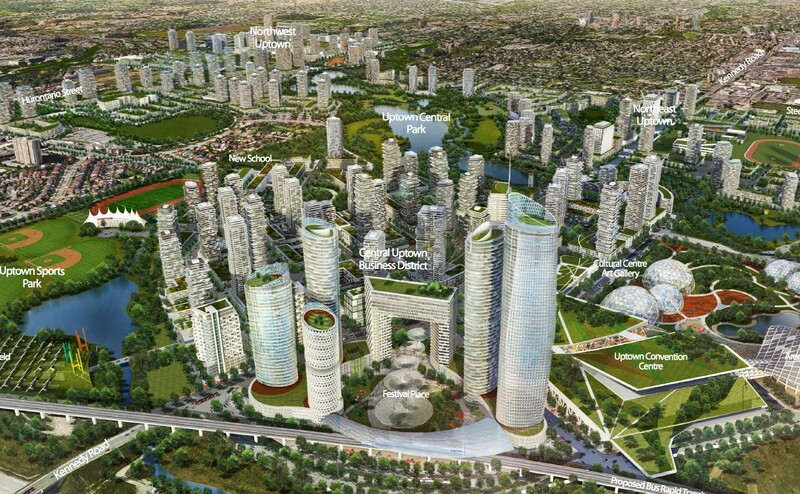 It could also mean that 2060 is a more likely completion date for many of the ambitious projects included in the 2040 Vision document. 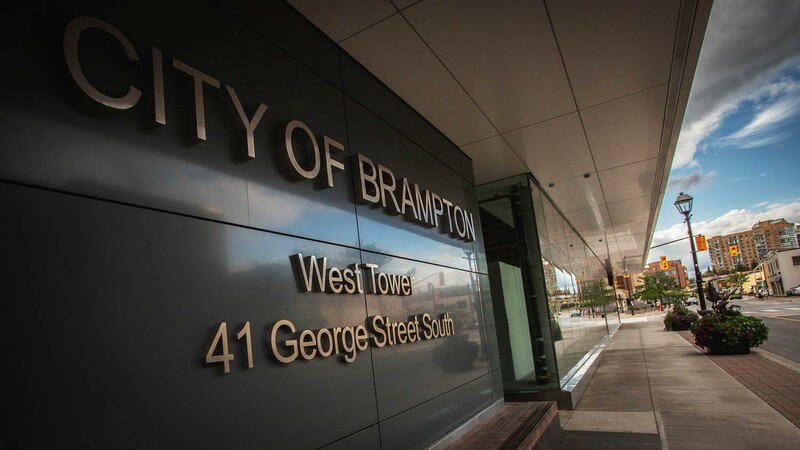 Moving forward, the City of Brampton will be removing its traditional forecast for tax increases from its budget documents and website. According to Brown, that’s necessary to keep unsubstantiated data from scaring away potential investors. He said the increases suggested for the next couple of years, estimated to be about 5 percent, are increases councillors will not accept. However, unless the currently ongoing KPMG audit results in a serious level of savings and efficiencies for the city, Brampton council will need to find some way to pay for the glut of deferred and delayed projects looming on the horizon. In a report presented to council in January by the city’s treasurer, a list of infrastructure projects deemed “not shovel-ready” includes several crucial for the city’s future. Brampton already faces a $246-million infrastructure deficit in 2019 that will grow to $743 million by 2027, according to the report, despite the 2 percent annual infrastructure levy that was approved this year as part of the budget. The treasurer’s list includes more than $740 million in crucial projects that will have to find funding, and that does not include the city’s share of the approved Main Street LRT (a report on which is expected next week) and the recently cancelled Downtown Reimagined plan, considered a catalyst to drive large-scale investment in the city. The latter has been delayed until 2021, when the city plans to issue $31.4 million in debt to pay for the project. 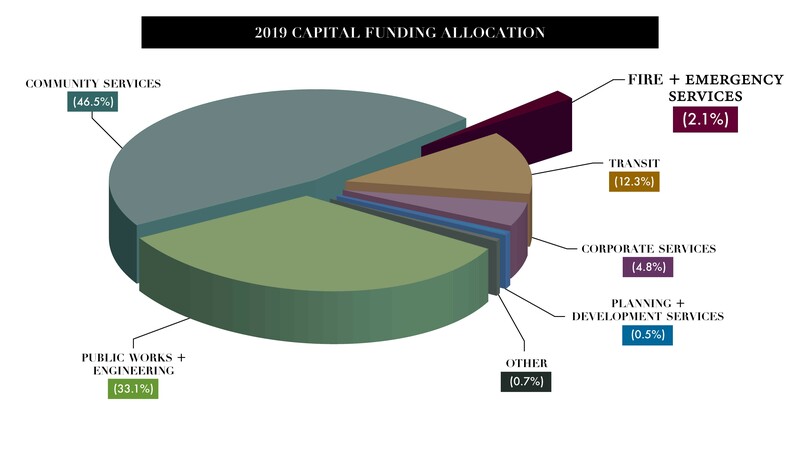 A quick glance at the difference between the previous year’s projects and the 2019 budget shows notable reductions in the city’s investment in public works (parks, traffic calming, parking), dropping from a planned $148.3 million in last year’s budget to $127.1 million this year. Capital works projects, such as road widening and resurfacing and improving active transportation infrastructure, have dropped from a planned $113.9 million in last year’s budget to $94.2 million this year. So, council should be allowed to briefly celebrate its “remarkable” budget achievement. In fact, Brown was praised by fellow regional councillors during Thursday’s Peel Region council meeting for being able to achieve the freeze. But what appears remarkable today, without proper investment, could be regrettable tomorrow. The list of projects kicked down the road and other work that desperately needs attention, might be hard to put off next year, when Brown won’t have a popular election promise to live up to.